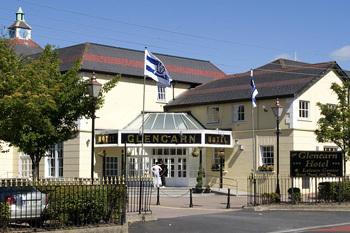 A warm and friendly welcome awaits you at The Glencarn Hotel in the heart of Castelblayney town and only 50 minutes drive from Dublin Port. It is a family run hotel renowned for friendly service, lively entertainment and good food. The hotel has 30 ensuite bedrooms, a very popular large bar area, a fine restuarant,and a large car park. Barfood is available in the Temple Bar until 10.00pm nightly. Guests have unlimited use of the hotel’s leisure centre, which includes swimming pool, sauna, steam and jacuzzi, Free Wi-Fi access in public areas with TV and telephone in all rooms. Bedrooms do not have tea and coffee making facilities, but these may be ordered at reception without charge. Muckno is 880 acres of water brimming with bream, roach, hybrids, perch and a lot of very big pike. 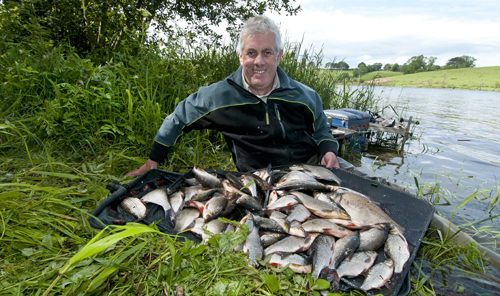 All normal angling methods and baits will catch fish and access is now excellent and you will be able to drive and park along most of the best angling spots. There are also a number of smaller lakes surrounding this centre including the Gas Lake, Smith’s Lake, Malone’s Lake and Killygola and these together with Lough Muckno provide the angler with a wide variety and choice of quality angling venues. And if this isn’t enough, Ballybay and Carrickmacross waters are only a 20 minute drive!